Have you ever thought about what makes your loved ones feel secure? Do you think it’s your amazing well-paid job or business? Or maybe a hefty banks balance with zero debt? You became sick or injured? You lose your job? You or your partner dies suddenly? A member of your extended family became financially dependent on you? You are faced with a situation where you need money which is beyond your financial capabilities? Yes just like majority of people all over the world, even you think “Those are the things that happen to others not me”. It’s been researched and found that less than 22% people have a financial security plan in place. Scary isn’t it? No one really wants to think about the worst case scenarios, but how sensible is it to ignore these and risk your future? All the risks that present themselves throughout your life could be addressed with financial security. Unfortunately very few understand this and make an effort to plan, but are still not sure if they have the right funds invested in the right places. I understand that financial planning is not the easiest thing in the world. However if you want to achieve a #KhudKoKarBuland place in life, then you must plan to gain more control of life with you and life without you. As you make your checklist, it becomes easier to plan with the help of people qualified to ensure your financial well-being. Just like the single parent in the video below don’t get discouraged with unexpected news but instead plan the security that gives your loved ones the life they deserve. #KhudKoKarBuland to never have to change your plans. 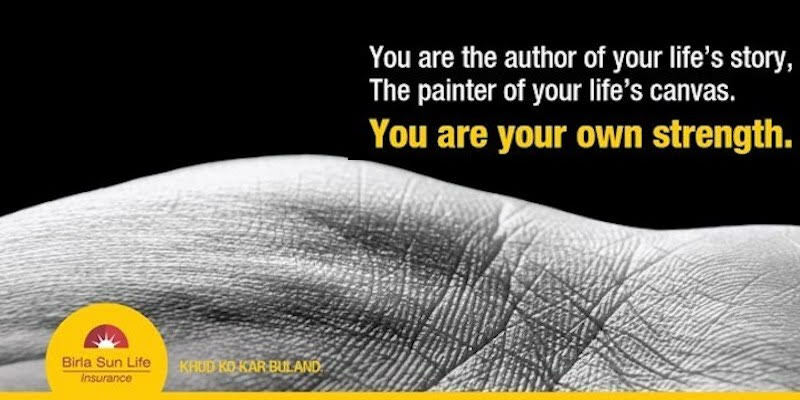 #KhudKoKarBuland to live life just as you want to. #KhudKoKarBuland to never have a loved one worry about money. #KhudKoKarBuland to have financial freedom after retirement. Do you need any more reason to #KhudKoKarBuland? I become emotional... Nice one!